Foreign currency trading quotes always show up in pairs of two currencies. This means a currency quote is made of two pairs of currencies. An example of this is the quote EUR/USD. With this example the first currency is called the Base Currency, and the second currency is called the Pricing Currency. 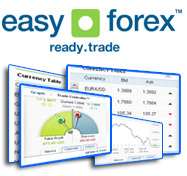 When trading foreign currencies, you are always buying and selling the base currency. Let's say you buy one unit of USD/JPY. This means you are buying 1 dollar and selling at the same time 118.42 JPY (the current Yen value). The US dollar is usually the base currency, meaning the standard currency which is used when evaluating other currencies. For most major currency the first to appear, the base currency, is the USD. Examples of the currency trading quotes of the "major" currencies will then be USD/CAD (Canadian Dollar), USD/JPY (Japanese Yen) or USD/CHF (Swiss Mark). In all the previous currency trading quotes you see that a currency is measured against the US dollar. The Euro, British pound and Australian dollar are exceptions. So the EUR, GBP and the AUD are shown before the dollar, and are considered base currencies. In this case you will see a currency trading quote such as GBP/USD or AUD/USD, meaning the base currency for them is not the USD. In currency trading quote of USD/CHF 1.4566, you buy 1.4566 Swiss Marks with 1 Dollar. A quote of GBP/USD 1.784, means you buy 1.784 dollars with 1 British pound. While you trade foreign currencies you will hear the terms rising quote or weakening quote quite a lot. A rising currency trading quote means that the base currency has appreciated, as you can buy more currency with it. A weakening quote means the exact opposite. So while the direction of the rising quote is up, the direction of the weakening quote is down. Currency trading quotes that do not involve the dollar are referred to as cross currencies. You might also see a double quote, one marked as 'ask' and the other as 'bid'. The 'bid' quote represents the price you can sell the base currency for and the 'ask price' represents the price you can sell the base currency.